These discussions, combined with input from Congress, our fellow regulators, and others who focus on our performance, have substantially informed the document that is now before you—a Strategic Plan for FY 2018 through FY 2022. The Plan provides a forward-looking framework for making the SEC even more effective, focusing on the most important goals and initiatives that will best position the SEC to fulfill our mission. These goals and initiatives span our 5 divisions and 25 offices and incorporate the key values that have benefited the agency for its 84 years. 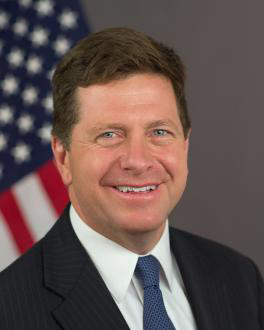 For the investing public and the various market participants and regulatory authorities who interact with the SEC, we hope this Strategic Plan will inspire your full confidence in our ability to innovate in response to evolving markets. For my dedicated colleagues at the SEC, I hope this new Strategic Plan will focus our efforts on continuing to make the SEC a great place to work with great reasons to come to work. Pursuing the Plan and achieving its goals will require a continuation of the shared commitment to our mission that I have been so impressed with since I joined the Commission in May 2017. America’s investors have high expectations for us. Let’s exceed them!